SHOULD I CHOOSE A BODY LOTION OR BODY MILK? Daily showering or bathing, and cold, heat or dry heating air can rob our skin of moisture. The result is dry skin. When this happens, the best recipe for your skin is regular application of a nourishing body lotion or body milk. Find the right body care for your needs: a light or firming lotion? Or a rich body milk or cream? Many people suffer from dry skin in the winter months; some have an inherent predisposition to dry skin or want to provide their skin with a great deal of care and attention the whole year round. To prevent dry skin you should apply a nourishing body lotion or body milk every day – preferably directly after showering or taking a bath. It is true that this takes a little time, but it is worth it and your skin will thank you. Taking care of skin care under the shower really quickly is made possible by NIVEA In-shower Body Milk and NIVEA In-shower Body Lotion. 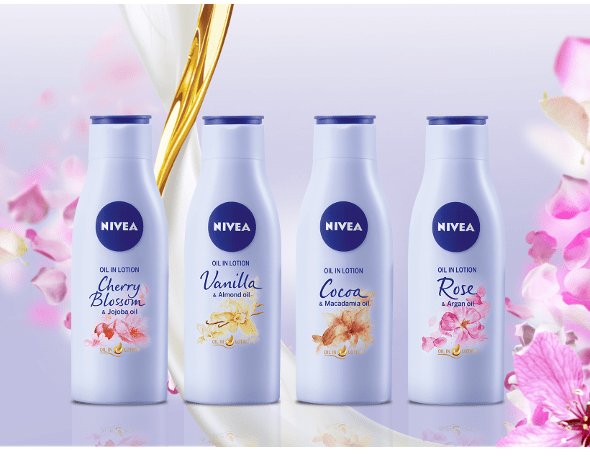 The innovative formula of NIVEA In-shower products is activated by water – there is no longer any need to apply more body lotion after drying. The elbows, knees and shins are areas that suffer particularly from dehydrated skin. The reason for this is that the skin has very few sebaceous glands in these areas and very little subcutaneous tissue. The skin on these areas therefore needs a great deal of care especially in winter, when the sebaceous glands produce less oil. Body lotion or body milk – what's the difference? The difference between body lotion and body milk usually has to do with the proportion of water and oil: while body milk has a very high fat content, body lotion has a high water content, with the result that it provides the body above all with moisture. 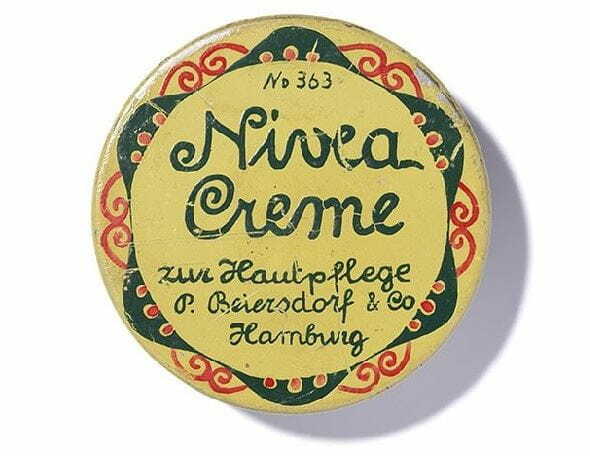 Body milk is generally richer, which therefore makes it particularly suitable for dry skin. Body lotion has a cooling effect after application. This is due to the high water content: the water evaporates after applying the lotion, leaving a refreshingly cooling sensation on the skin. This ensures a feeling of freshness and well-being during the summer months in particular. Gentle stroking and refreshing fragrances – daily moisturising with a body lotion invigorates body and mind and ensures that our skin remains beautiful and well cared for. So devote a few minutes to this short ritual from time to time and pamper yourself and your skin with a gentle massage.